By the time the second silver fleet was done, the sun was behind the bluffs, and we all rushed in before the real cold kicked in. 5224 is Leading the regatta, tied in points with JD. Tomorrow we hope to get out there early and get a few more races in. 4487 won the second race, showing us that the gang out east has some speed! Did you sail Sunday? Was there enough wind? We did get two races in gold and silver on Sunday, despite a light snow falling. Wind was adequate on the hard ice. Blowing 5-7. I expect Jim to get results posted soon! 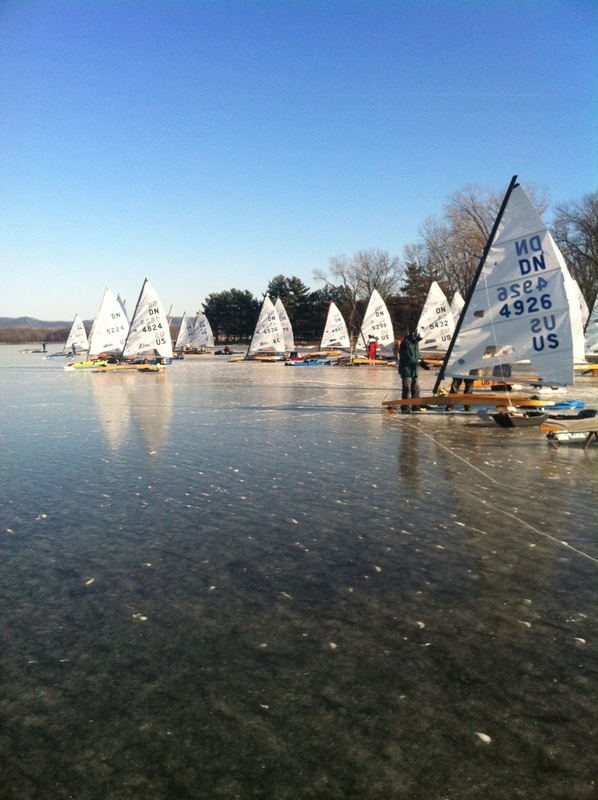 Overall a good regatta considering snow covers all the frozen lakes in Mn. On behalf of team maDisoN, many thanks for another enjoyable Great Western Challenge. Really appreciate all the effort the went into finding the ice an pulling everything together. See you on the ice next time. Your Ice Opti efforts has already seeded out a bunch of great junior sailors, like the Sherry boys (or should I say young men? ), Jake who came in 2nd in DNs at the Connecticut IYC Lloyd Young Regatta last year & now Frankie, with two nice finishes at the Great Western Challenge. Hats off to the Minnesota crew for expanding everyone's experience. Who knows, maybe they'll hold the ISAs or NW Regatta one of these seasons.